Golden Euro Casino has so many great games from Realtime Gaming (all played in Euros) that it can be hard for a new player to know where to start! So, until March 31st, the European online casino is giving new players a 10€ free bonus to play five of their most action-packed casino games. The free bonus can be used to try the Hidden Riches, Treasure Chamber, Spirit of the Inca, Secret Symbol and Nova 7s slot games. Valid for Hidden Riches, Treasure Chamber, Spirit of the Inca, Secret Symbol and Nova 7s only. Only new players that have not yet made a deposit are eligible. Available until March 31, 2018. Video: Adventure Bonus introduces new players to action-packed slot games. New players at Golden Euro Casino can claim a 10₤ free bonus to try most popular adventure games. “The games we've chosen for this bonus offer are some of our regular players’ favorites – a good place for new players to start!”said Golden Euro manager Adrian Berger. 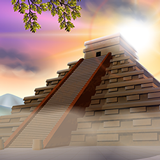 In Hidden Riches, players unveil the riches of an ancient civilization and find the hidden mystery bonus prize. They join a brave Adventurer in his quest for historical artefacts and legendary treasures in Treasure Chamber. A Priestess and Incan Spirit guide players to opulent riches hidden amongst the temples in Spirit of the Inca. The Incan Spirit is an expanding Wild that can trigger the pick feature that awards up to 75 free games. Secret Symbols’ lush graphics depict an Aztec Chief and his treasures. Three or Pyramid scatters trigger free spins with up to 20X multiplier. Nova 7s explosive and unpredictable Red 7 Wilds can Solar Flare, Nova, Supernova or Hypernova. These features can turn one or more reels Wild, multiply wins by x7, or both. Starting this month, a monthly bonus for Roulette players is now available. May be claimed once a month. Valid for European Roulette or American Roulette only. Wagering requirement: 30Xthe deposit plus the bonus, with 0.25 contribution per 1€ bet. Nova 7s and Secret Symbol are available in Golden Euro's mobile casino for smartphones and tablets.